I don’t normally linger at ponds and wetlands. Usually, I’m too anxious to gain height onto the moors and fells. But I did dally a while at the small pond today at the Pinchinthorpe Walkway and was amazed at the amount of life there. 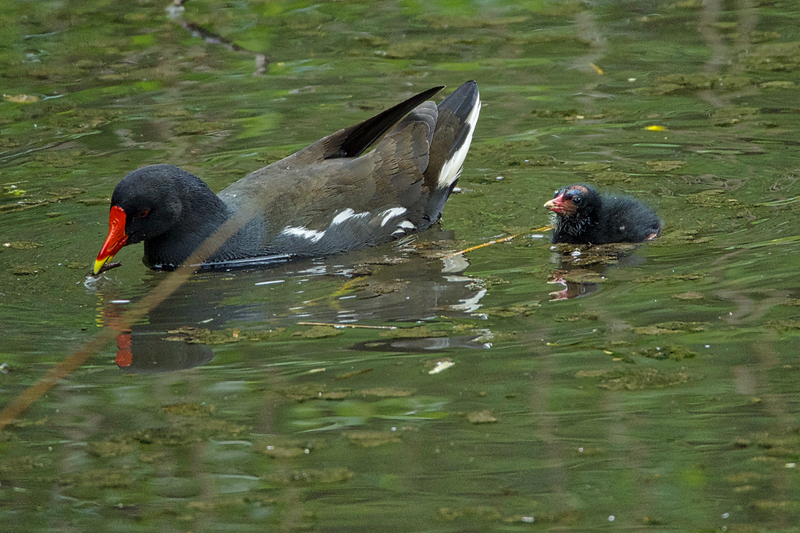 This moorhen had two chicks, this one being fed by its mam. Its sibling looked more mature and was much more confident, pecking at a floating log for anything that looked edible.